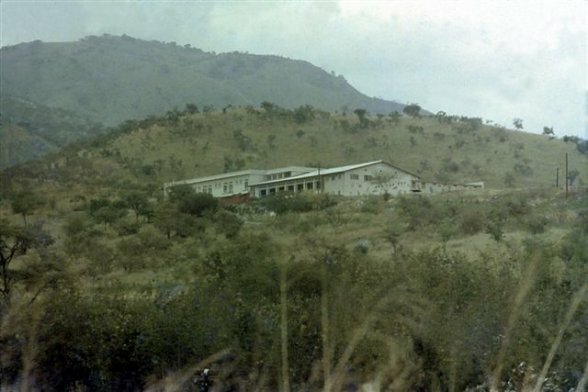 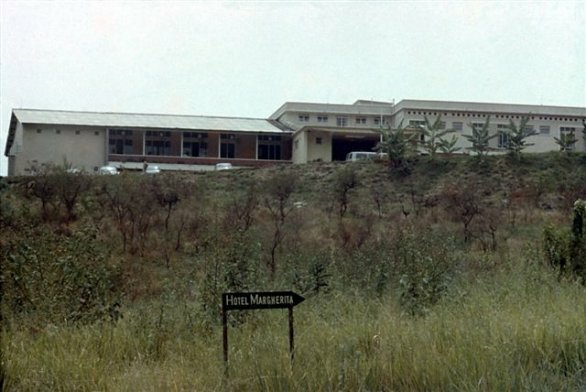 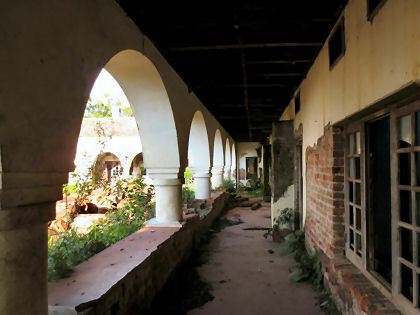 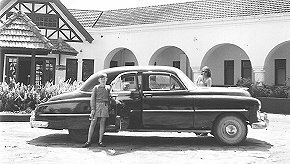 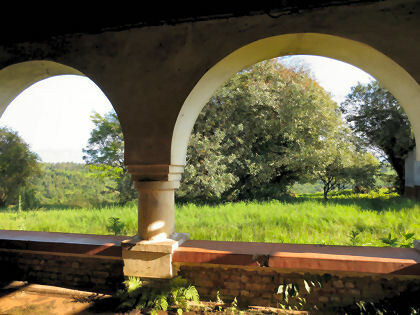 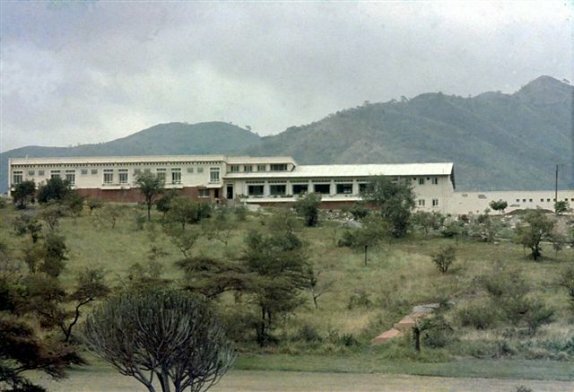 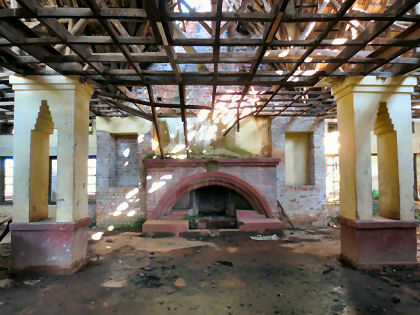 Nostalgic images of the Hotel Margherita which served the ghost town of Kasese and the copper mine at Kilemebe. 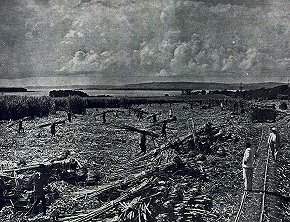 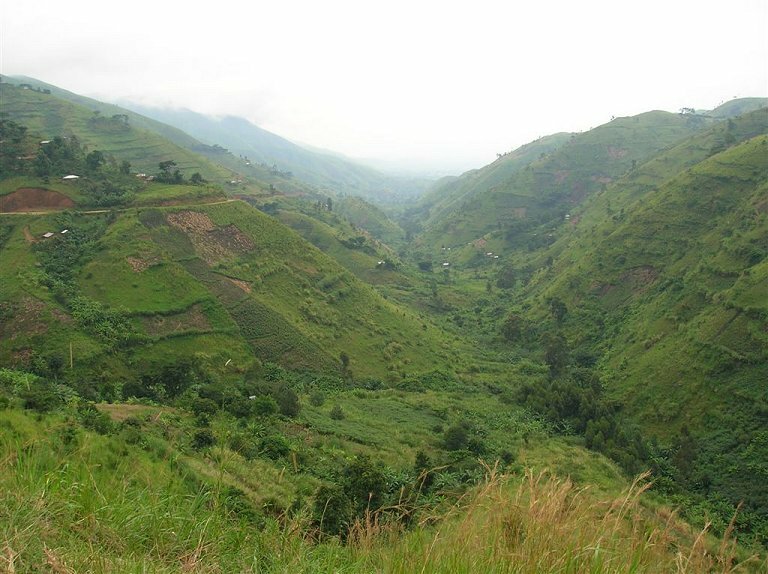 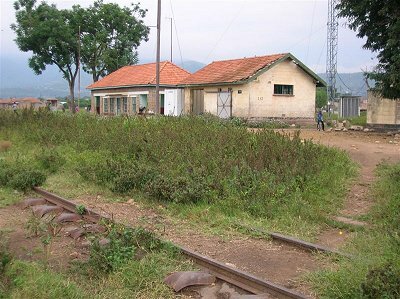 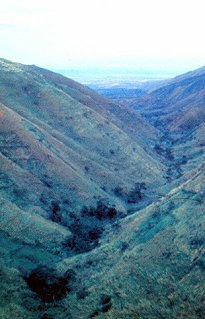 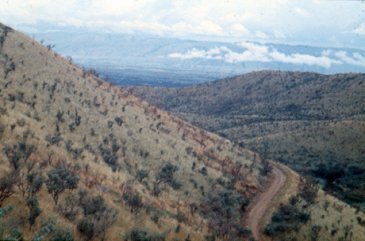 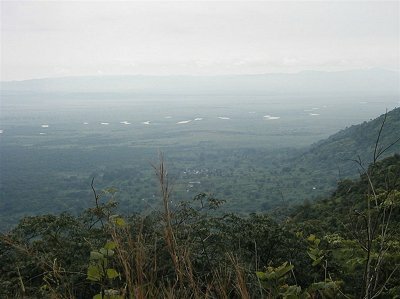 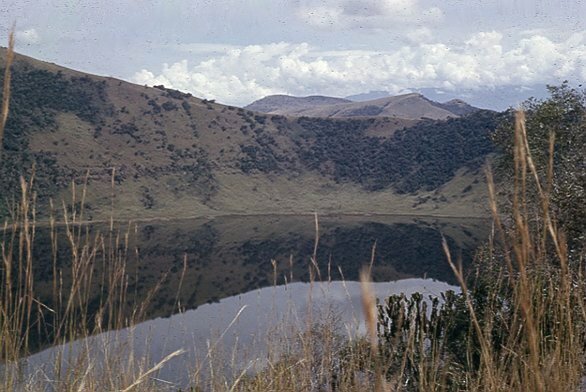 By 1956 the western extension of the railway from Kampala had reached Kasese and there were great hopes for its development. 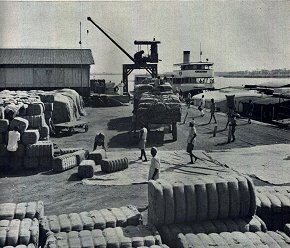 Tarmac roads were laid out in the familiar grid pattern but there was no industry. 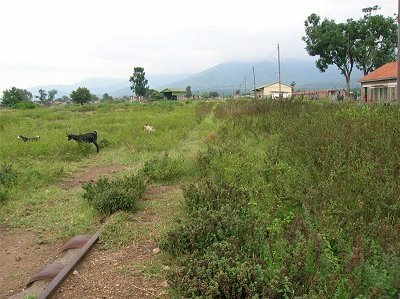 The railway gradually fell into disrepair and ultimately disuse (see below) but at one time there was a thrice weekly all classes passenger train, complete with dining car for first and second class passengers. 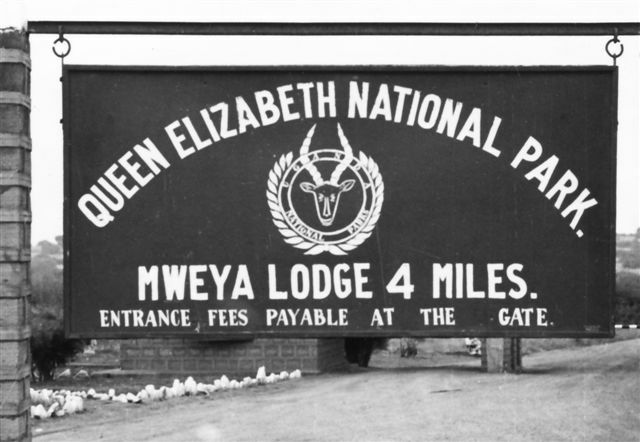 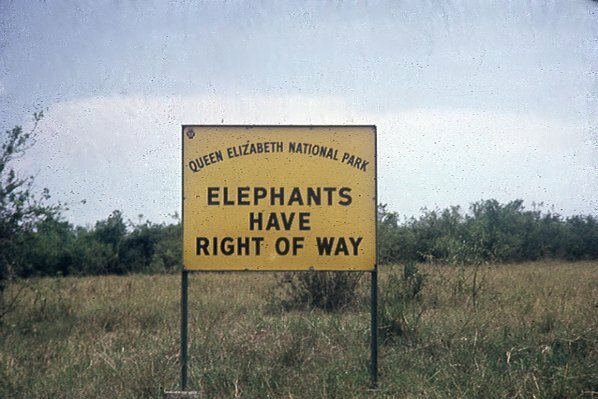 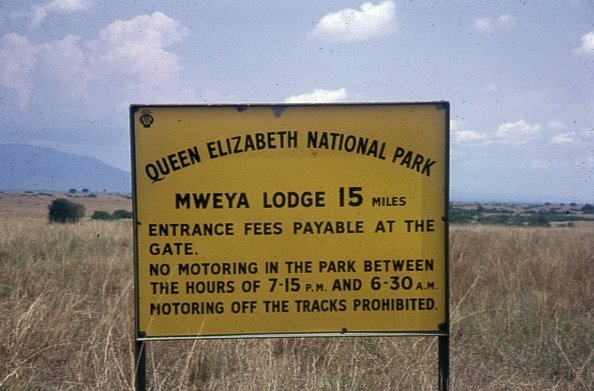 This service connected with the Mail Train to and from Nairobi, which also ran three times weekly. 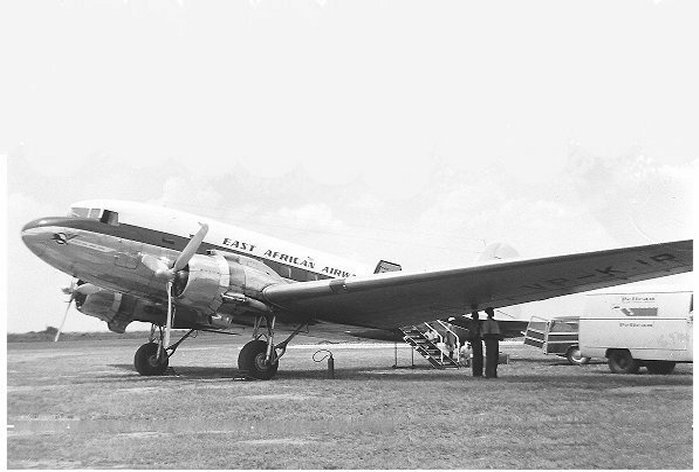 PWD maintained a fire engine at the airfield, a mandatory requirement since Kasese was served by East African Airways DC3 from Entebbe. 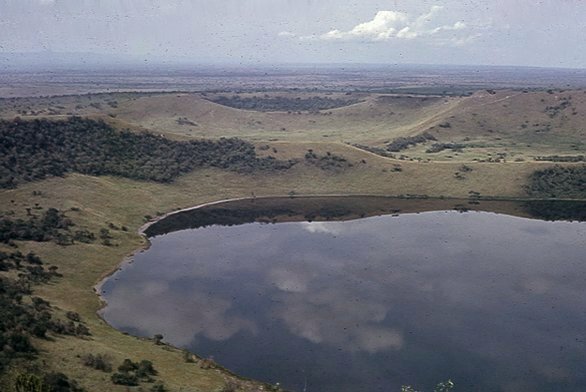 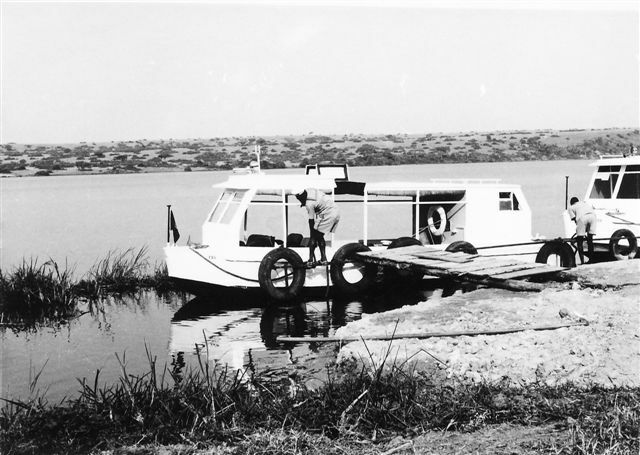 But light aircraft came and went and it was unusual in 1959 not to see two or three aircraft at the Field - one, at least, I think was owned by Kilemebe Mines. 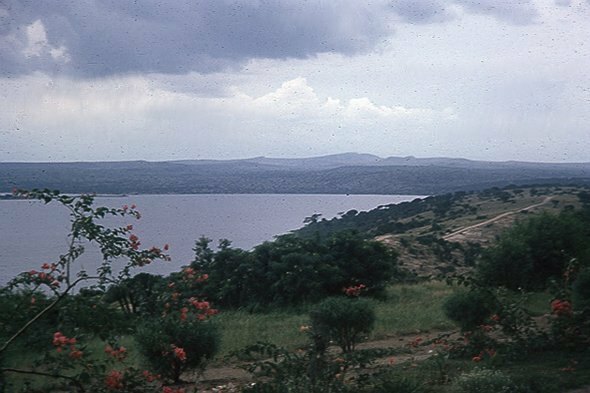 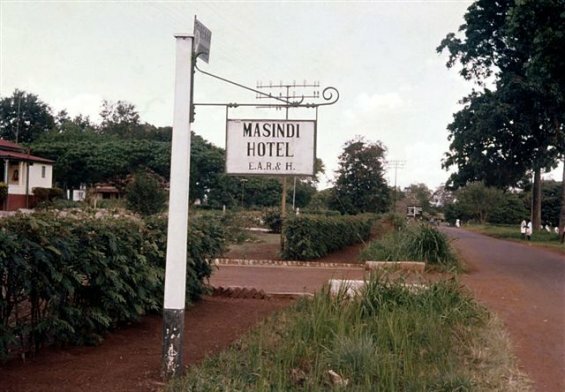 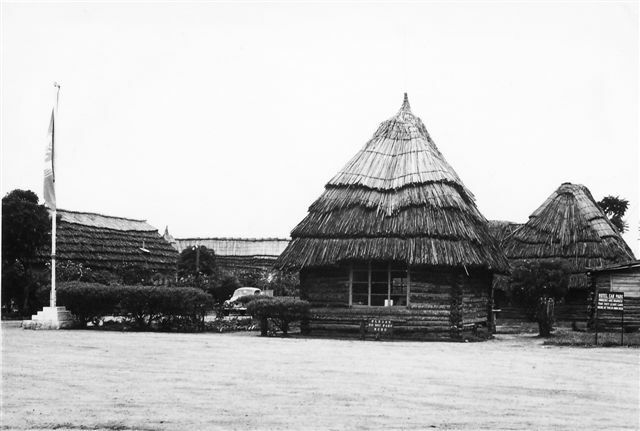 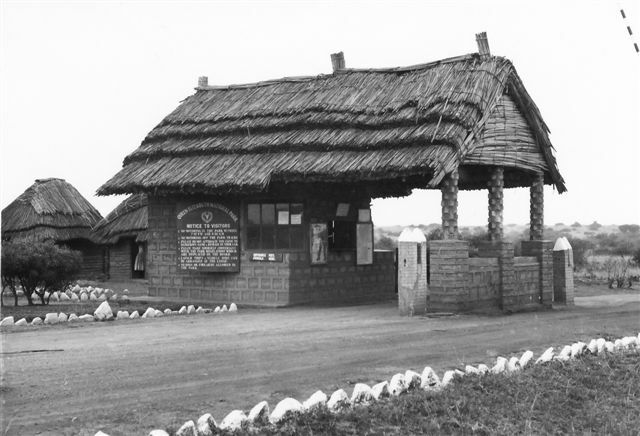 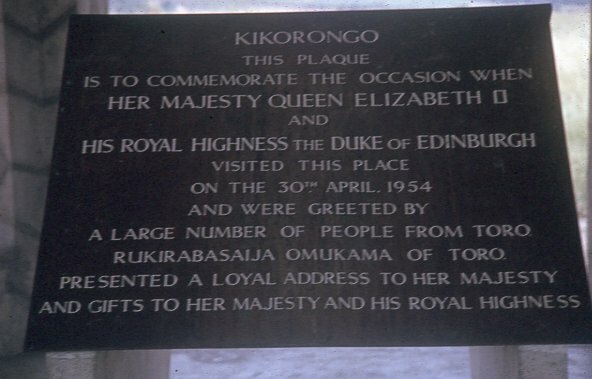 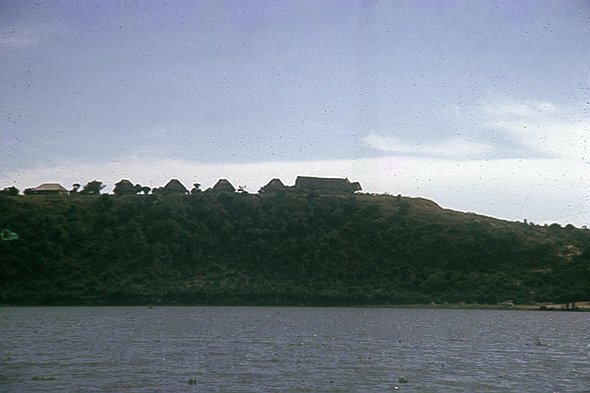 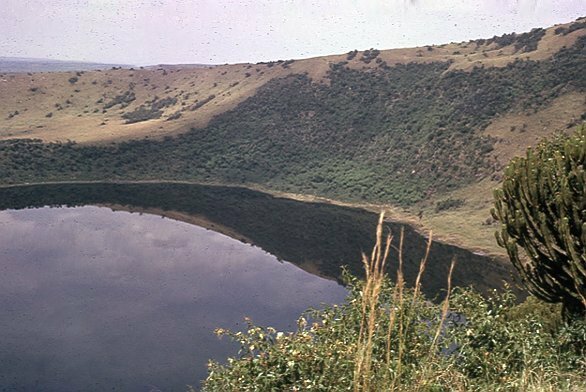 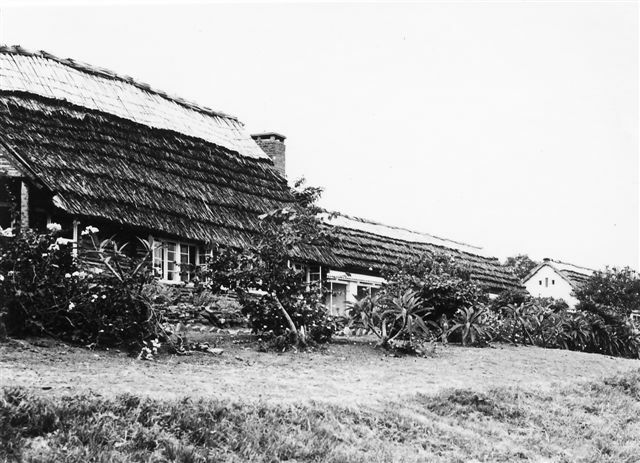 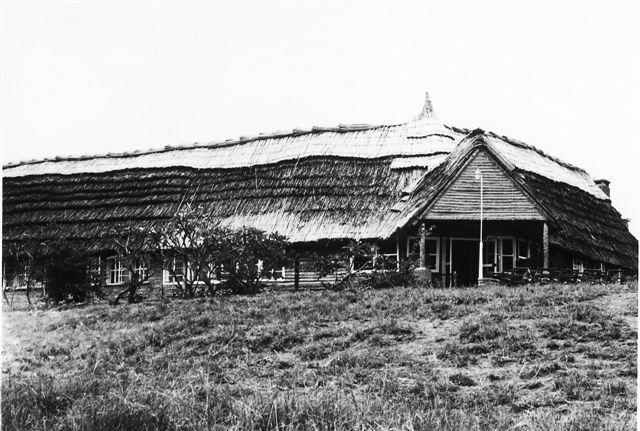 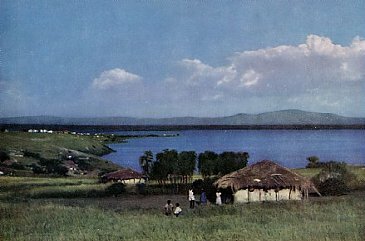 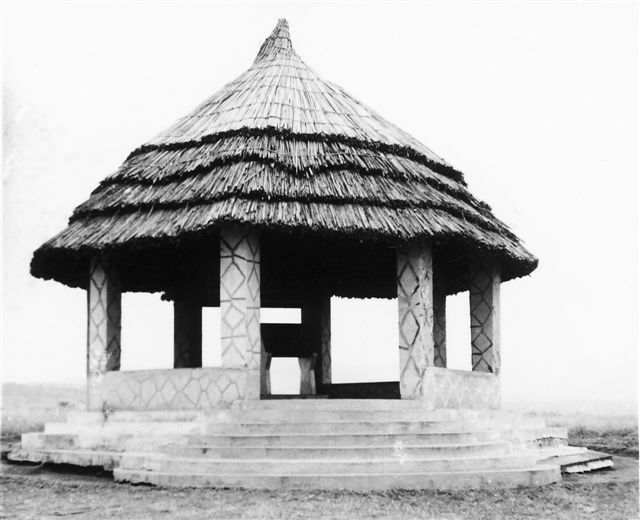 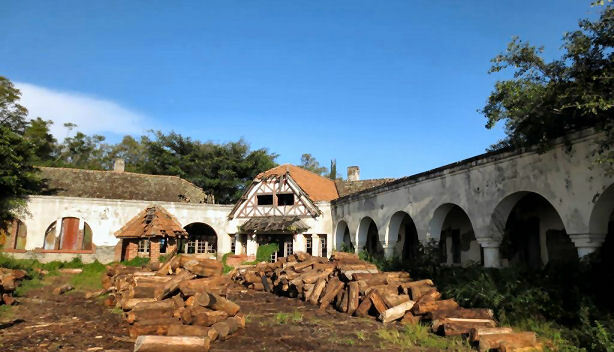 There was another relatively modern, if spartan, hotel at Katwe by the Lake. 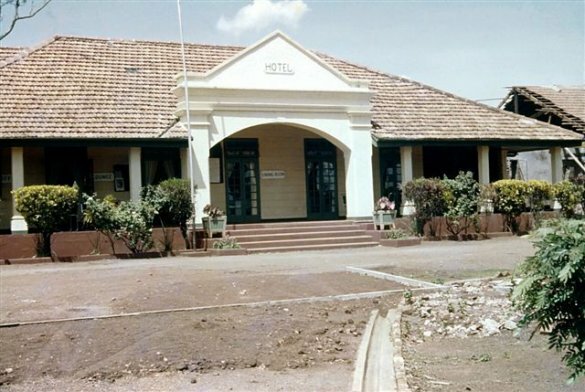 But the quaintest hotel was the old fashioned Mountains of the Moon Hotel in Fort Portal. 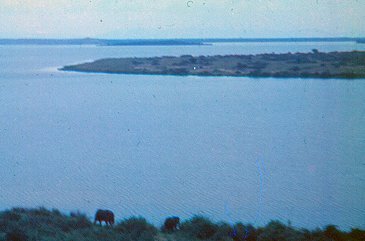 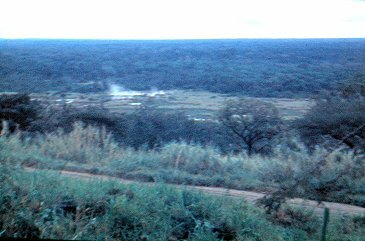 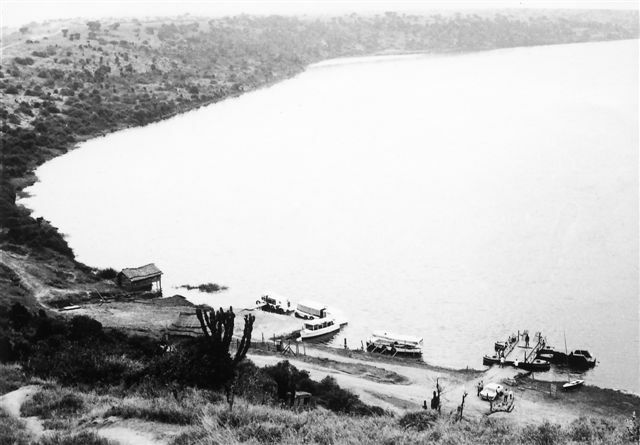 The EAR&H paddle steamer LUGARD II at Rhino Camp (left) on the River Nile in Uganda. 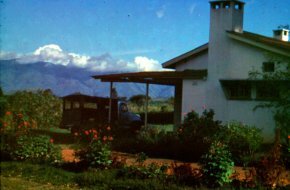 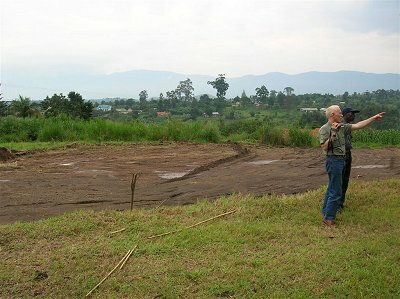 The Ruwenzori Mountains form the backdrop to civil servants' houses in Fort Portal. 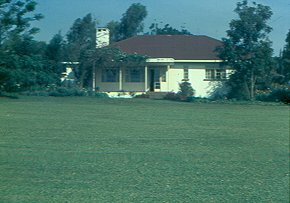 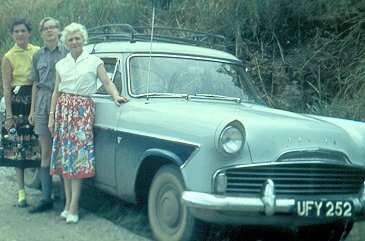 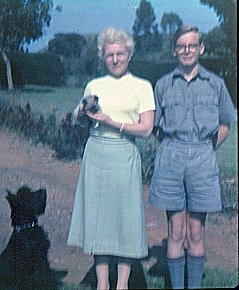 Our house and garden - 1959. 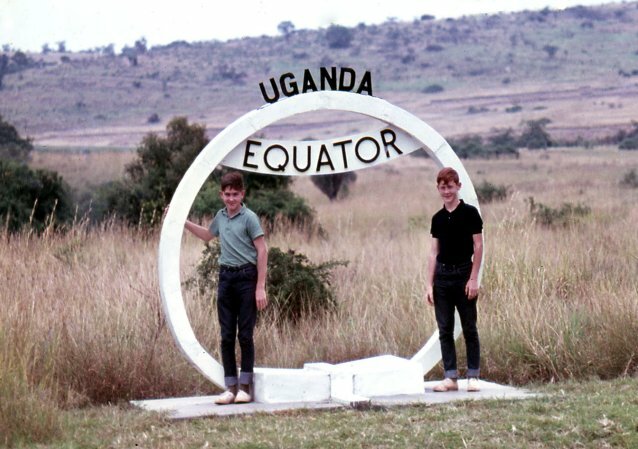 PHOTOs (left) John McCrow. 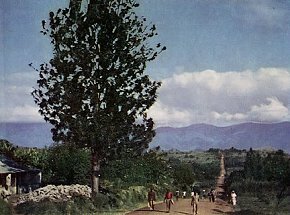 Some fifty years later and a view of the Ruwenzoris taken from near the houses shown on the left. 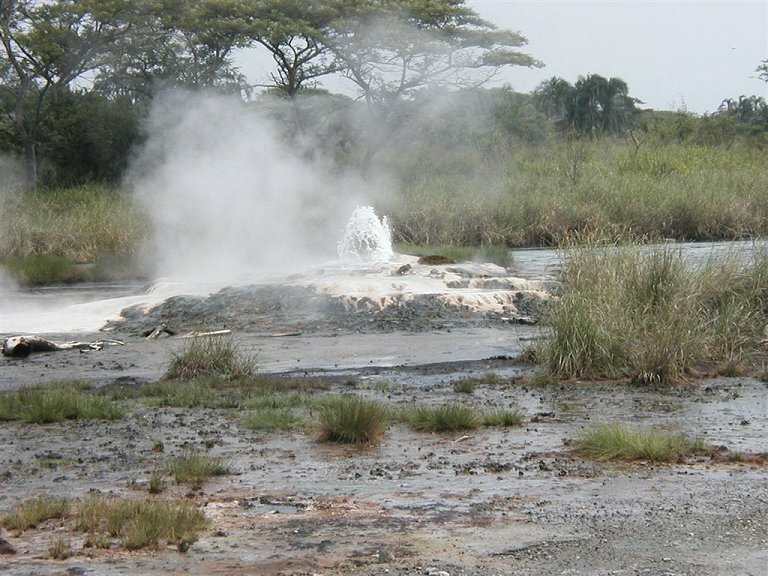 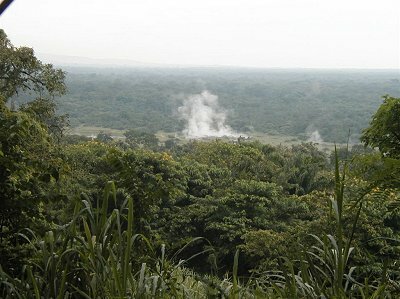 The Hot Springs (left) which smell of sulphur and where you can boil an egg.